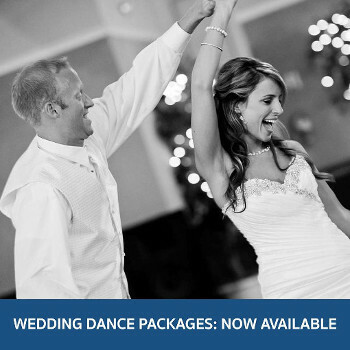 Your Special Dance…Make Your Wedding Dance Unforgettable and filled with Romantic Memories! With just a few lessons we can create a simple and yet elegant routine that will have your guests wishing for more! We want to help you by making your dance perfect and stress-free by creating an easy to remember and yet beautiful routine that you will enjoy performing and rehearsing! You are giving your daughter way…is a bitter sweet day. Help create a special video moment with a nice wedding dance routine for your “Baby Girl” as you dance and celebrate her Special Wedding Day? Private dance lessons are the fastest way to obtain your dancing goals. Each lesson is 50 minutes in length and available by appointment only. Call 714-744-6015 for tuition rates and availability. Private group dance lessons are a fun way to learn dancing with your friends, family, co-workers, singles groups and wedding parties. This also offers you the opportunity to choose the dance styles, times and days you would like for your lessons. All classes must be paid in advance for this service and you need a minimum of 6 couples. Group dance lessons are taught in a fun and relaxed atmosphere with other students who are at your level of dance. We have classes for beginners through advanced students. One instructor conducts the class while other instructors roam the floor helping you as needed. You are required to change partners throughout the lesson to develop good leading and following skills. This also gives you the opportunity to practice newly learned steps. Each time throughout the class that we teach a new movement, you will be with your original partner then you will rotate to other partners. 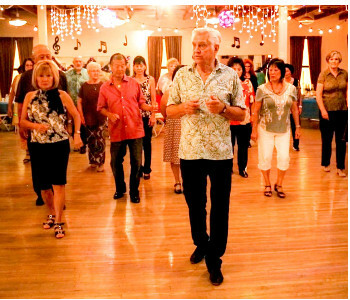 We find this is the most effective way to get the most out of the group dance lessons. If you are a couple, no worry, you will be with your partner most of the time. We keep our classes to a minimum number of students allowing you to get back to your partner in a timely manner. 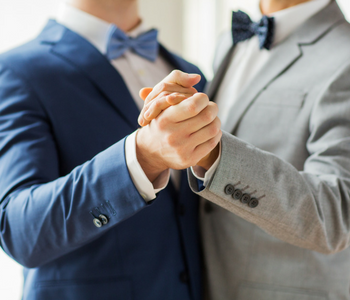 At Phill’s Ballroom Dance Studio, we are dedicated to personalizing dance lessons that meet the needs of Orange County’s Lesbian, Gay, Bisexual, Transgender community. We offer a variety of ballroom and Latin dances, which also include Swing, Country Western, and Hustle. If you are planning a wedding and needing to learn a First Dance or just want to add a new activity to your relationship, we are the experts! What ever your goal, you will be taught in a warm and friendly non-judgmental venue.